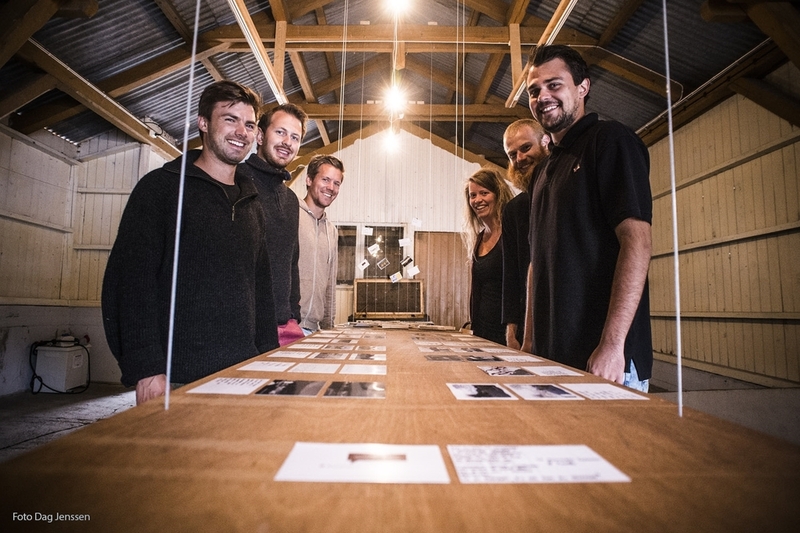 The workshop in Kviteseid, Norway, is part of the Kviteseid in the future project, initiated by Kviteseid municipality and Feste landscape architects. Three design teams, consisting of young architects and artists were given seperate briefs, all to be completed in ten days. The new park pavilion is a light timber frame structure wrapped in1,2 kilometres of white rope. The 12 mm rope is tied to a steel frame for every 30 metres with a bowline knot. The wall of rope creates a transparent backdrop, and the surrounding buildings consequently become an integral part of the design. 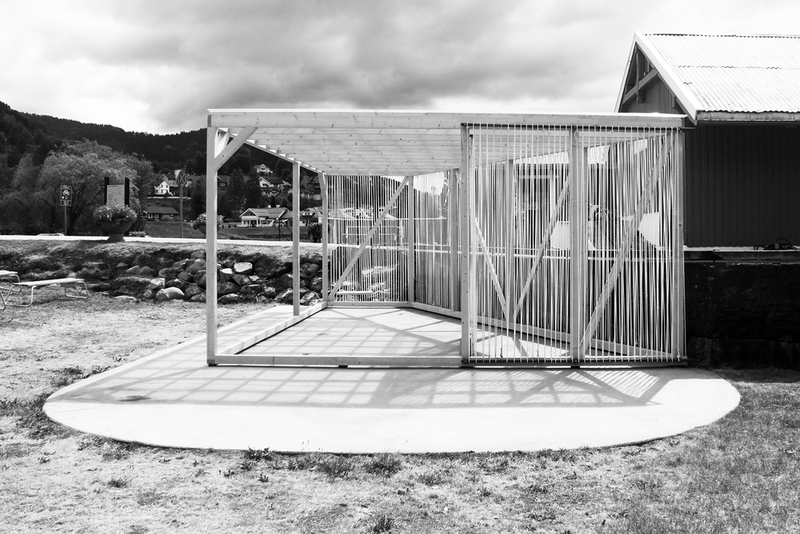 The pavilion was designed and built in ten days by David Fjågesund and Tim Larsen Kvingedal. The ‘museum’ consists of three ranks of ochre flags crossing the Kviteseid High street, as well as ten framed drawings and wooden objects. The drawings and objects are based on observations, conversations and stories from Kviteseid. The art project focuses on the history and identity of Kviteseid, seen through the eyes of an outsider. First impressions and random meets play a vital role. The framed drawings and objects are distributed along the Kviteseid High street and in some of the backyards. The exhibition focuses on the current situation in the town centre of Kviteseid, and displays ideas and proposals for future developments. The exhibition also encourages the public to participate in the debate, either by filling out a postcard or taking part in the discussion on social media.